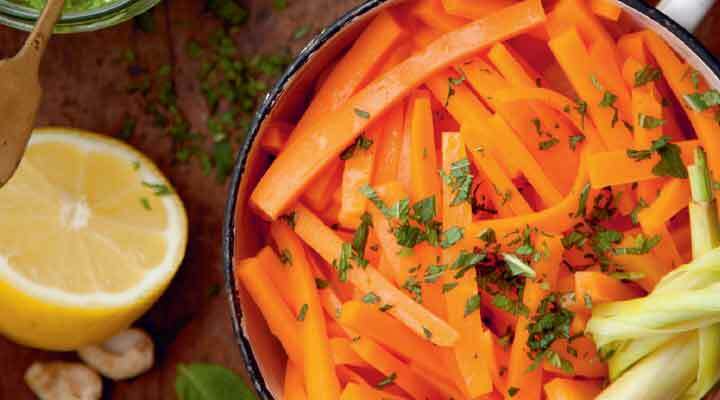 Cut the carrots into julienne strips. Place in a wide saucepan. Crush the lemongrass stalks by bashing them with a pestle or a rolling pin. Tie them in a knot and add to the pan. Fill the pan with just enough water to cover the carrots. Add the honey and butter, bring to the boil and cook the carrots until they are done to your liking. Drain, add the freshly chopped mint and serve immediately.